A worldwide director, Richard Wolf studied documentary production at the Global Village school in New York and film directing at the New York Film Academy. Social and humanitarian issues are the focus of his work. Combining investigative reporting with a keen eye for visual storytelling, he has developed a unique style that blends epic-scale imagery with candid intimate testimonies. Mr. Wolf has directed over thirty documentary films for commercial networks and public television, as well as independent productions broadcast on the BBC, CNN and other major media outlets. Shot in five continents, these films are as diverse as their environments. But all of them share deep humanistic values, a close rapport with compelling real-life characters and outstanding cinematography. Mr. Wolf’s many awards include a special International Emmy Award, the World Medal at the New York Festival, the Ibero- American journalism award presented by EFE (Spanish News Agency), the Prince Rainier Award at the Montecarlo Festival, the Ayrton Senna and Vladimir Herzog awards for special reports on children and human rights. He has undertaken assignments for the United Nations in New York, Africa, Asia and East Timor, where he headed the television station implemented under the UN mandate. Mr. Wolf’s filmography embodies a strong gender focus. He has documented women’s resistance against fundamentalism under the Taliban in Afghanistan with the groundbreaking Behind the Veil film, as well as Dishonorable Killings, on honour killings in Turkey, broadcast on France 24. 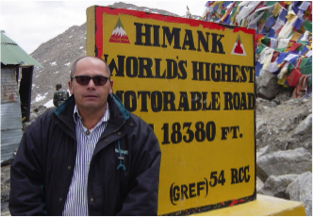 He has produced women empowerment stories in diverse locations from Spain to the Himalayas and Indonesia. Mr. Wolf has also worked as documentary director at TV Cultura, the largest public television station in Latin America, winner of two international Emmy awards. Mr. Wolf’s documentary Women of the Sand, on nomad Sahara women, is now part of the permanent collection of the Museum of Modern Art, New York. After that, he made his first narrative feature film Fatima, a breath-taking story of a beautiful young woman who returns to war-torn Baghdad and must make hard choices to survive amidst chaos. Mr. Wolf then turned his attention to the growing refugee crisis in the Middle East and Europe. He has produced and directed A Requiem for Syrian Refugees, a feature documentary released theatrically in New York and Paris to critical acclaim. Mr. Wolf is a cosmopolitan director with a broad world vision and a distinctive authorial approach to filmmaking. 2019: Kibera, an uplifting portrait of resilience and empowerment in the largest urban slum in Africa. Director. 2018: The Antechamber of Hell, a gripping portrait of trauma and resilience of the Rohingya people in the world's largest refugee camp. Director/Producer. 2016-2017: Branding materials for the United Nations Global Service Centre, including videos, multimedia and social media productions. Executive Producer/Account Manager. 2013: Rue Mouffetard, a cinema-verité film in the tradition of Jean Rouch’s Chronique d’un Eté on the cosmopolitan multicultural lifestyle of a neighbourhood in Paris. Director. 2011: Producer and coordinator of the UNICEF polio eradication campaign in Angola, including TV and radio spots, slogans, logos, branding, print and social media. Producer/Coordinator. 2010: Fire Dreams, a poetic documentary on the universal power of hopes and dreams against the stunning human and visual background of Azerbaijan. Director / Producer. 2009: Sudan in Fragments, trailer for a feature-length character-driven documentary on the return of a British- Sudanese man to Darfur to reunite with his community and find atonement with his past. Director. 2008: Dishonourable Killings , an investigative documentary on honour killings of women in Kurdish communities in South-East Turkey. The film was broadcast on BBC World, CNN and France 24. Director / producer. 2007: Waves of Hope, a film on successful community based post-tsunami recovery projects in India, Sri Lanka, Maldives, Thailand, Indonesia. Director/producer. 2007: Solidarity, a special report distributed worldwide through APTN on the recovery of Nias, Indonesia, after an 8.7 magnitude earthquake. Producer / writer. 2006: Fatima, a unique dramatic feature film shot in war-torn Baghdad about the effect of the war on civilians, families and women, featuring an all-Iraqi cast and Nadia Odeh, a Palestinian lead actress. Fatima was shown at the Montreal, Rio and London festivals, and invited to the Cairo festival. Director / writer / producer. 2006: Ketahanan, a documentary on tsunami reconstruction in Aceh, Indonesia, told through the stories of survivors. Executive producer / writer. 2005: Kbiit, a documentary on the birth of East Timor, highlighting the challenges faced by the first nation of the millennium. Executive producer / writer. 2004: Taking Destiny Into Her Own Hands, a documentary about the journey of a 21st century young gypsy woman, focusing on ethnical integration in the global era. Premiered at the Curzon theatre in London. Director / writer / producer. 2003: The Sisters of Ladakh, a documentary on Buddhist nuns in the Himalayas. Against a stunning visual environment, young women forge a feminine vision of Buddhism in a traditional society. Shown at the San Francisco Buddhist Festival and by Worldlink TV, a US multicultural channel. Director / writer / producer. 2003: Women of the Sand, a documentary on nomad Islamic women in Mauritania. Shot in cinema-verité style, it is now part of the permanent collection of the Museum of Modern Art, New York. Director / writer/ producer. 2003: The U.N. Security Council, a behind the scenes documentary about one of the most powerful bodies in the world. Director. 2002: The Twin Towers of Islam, a documentary on the Muslim reaction to the 9/11 bombings, filmed on the Pakistan / Afghanistan border, produced for Multicanal Spain. Director / producer / writer. 2001: The Seekers, a documentary on worldwide travelers, exploring their motivations, personal discoveries and changes. World Medal at the New York Festivals. Director / writer / producer. 2000: Behind the Veil: Afghan Women Under Fundamentalism, a ground-breaking film shot undercover during Taliban rule, documenting women’s resistance against fundamentalism. Director / writer / producer. 1999: Urban Outcasts, a documentary on the Hip Hop culture in São Paulo, Brazil, focusing on the social context and community awareness of the fastest-growing cultural movement in the world. Director / writer. 1999: Gabriela, a documentary on an elderly woman who lives on garbage salvage alone in the metropolis. Produced in São Paulo, Brazil, for the BBC Life series. Director / Writer. 1998: Going Back Home, a documentary on Brazil’s street children, following the path of compelling real-life characters on their quest to find a home. Winner of a special International Emmy Award. Director / writer. 1997: Rebel Mexico, a special report for Brazilian network television on the Zapatistas in Mexico, focusing on their grassroots traditions. Reporter / writer. Award-winning series of magazine-style stories for Brazilian television, broadcast on Bandeirantes network. 1995: Demobilization of Young Soldiers in Angola, a hard-hitting documentary filmed in the rebel territory controlled by UNITA in Angola. Director / writer. 1995: Black Cultural Movement in Bahia, a special report for ABC-TV Australia. Development / co-producer. Brazilian network TV. Reporter / writer. 1989-2004: 16 feature stories for United Nations television broadcast on CNN and distributed worldwide to 180 stations, including Colombia (4), Brazil (4), Pakistan (3), Afghanistan (1), Mauritania (1), New York (3). Highlights include Women Bakeries in Kabul during Taliban rule, Aids Prevention and Reintegration of Teenage Women Guerrillas. Producer/Cameraman. 1988: Capoeira: Art and Slyness, a documentary on a unique mixture of African-Brazilian martial arts and dance, filmed in Olinda, Brazil. Director. 1986: Rã’ã, a documentary on the Caiapó Indians in the Amazon, focusing on the contradictions of their increasing contact with the modern world, part of the collection of the Museum of the American Indian, N.Y.Director/writer/producer. 2009: Citizen Boilesen, a feature-length documentary on a prominent Danish-Brazilian citizen who was involved in counter-terrorism and torture. Released theatrically in Brazil, winner of the São Paulo International Festival and National Critics Award. Collaboration on the script, location shooting in Denmark and New York.